The word ‘mirage’ can mean two things. In a literal sense it describes an optical illusion caused by the bending of light – most often making it look as though life-giving bodies of water are present in otherwise parched landscapes. In a metaphorical sense it denotes something illusory; in other words a false perception. That the country of Jordan appears like a mirage in the mind’s eye, then, is doubly fitting. Its landscapes and landmarks are convincingly familiar – until you realise that they are only figments; the result of films like Indiana Jones and the Last Crusade or Lawrence of Arabia, both of which were shot there. It is also one of the most water-scarce countries on the planet, making Omar Sharif’s famous dreamlike emergence over that arid horizon an apt synthesis of the point. But in another way such images are clichés. Apart from recent movie excursions, such as 2015’s the Martian (the red landscape being a must), few people actually travel to modern Jordan, with tourism having plummeted due to the region’s troubles, despite the country itself’s stability. 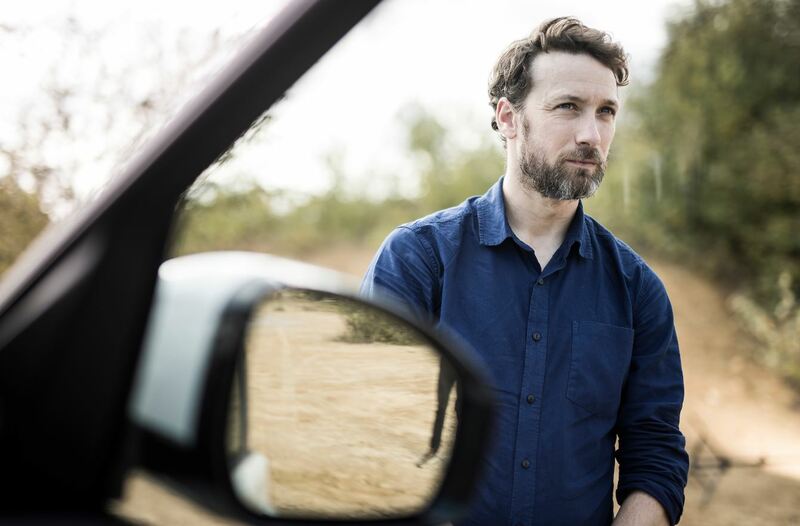 The Land Rover Bursary, in collaboration with the Royal Geographical Society, however, is committed to exploring the country and the challenges it faces today, including the sourcing of water. 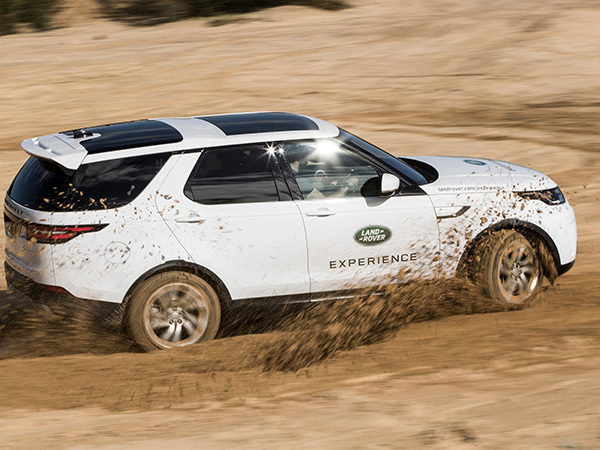 And what better vehicle, and indeed phrase, for this reappraisal of a land we think we know than the All-New Discovery, which is being used for the first time on the expedition. 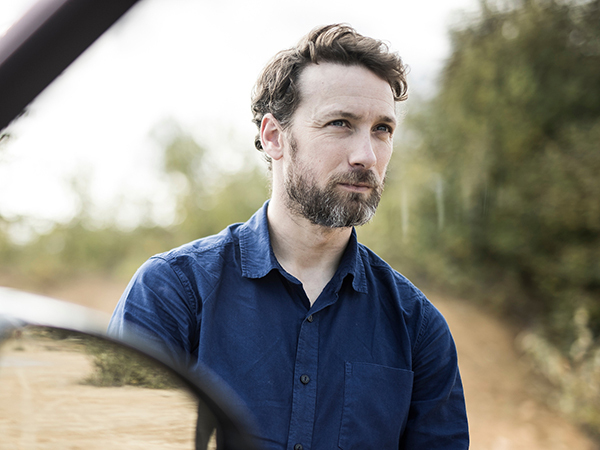 One of the three Bursary winners who will be driving the SVO-customised car in Jordan is Fearghal O’Nuallain (pictured), a geography teacher who in his own words is passionate about ‘bringing the world into the classroom’; a reference to the ground-breaking learning resources he intends to beam back to pupils in the UK during the four week trip. 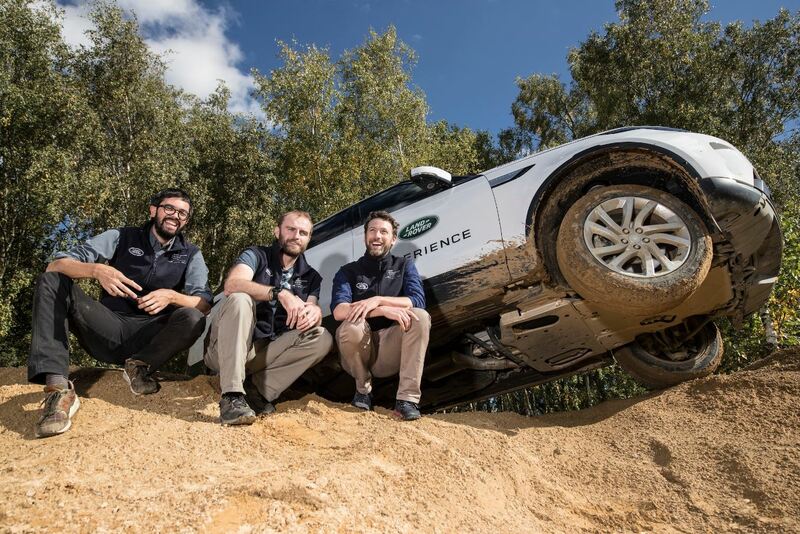 We spoke to Fearghal just after he completed an intensive driver training course at Rockingham Land Rover Experience which simulated desert conditions. What did you learn during your training? To start with, just the basics of driving a car over rough terrain. But then we were introduced to all the different functions in the car, which we were blown away by. A car with that level of sophistication felt like it could drive itself! 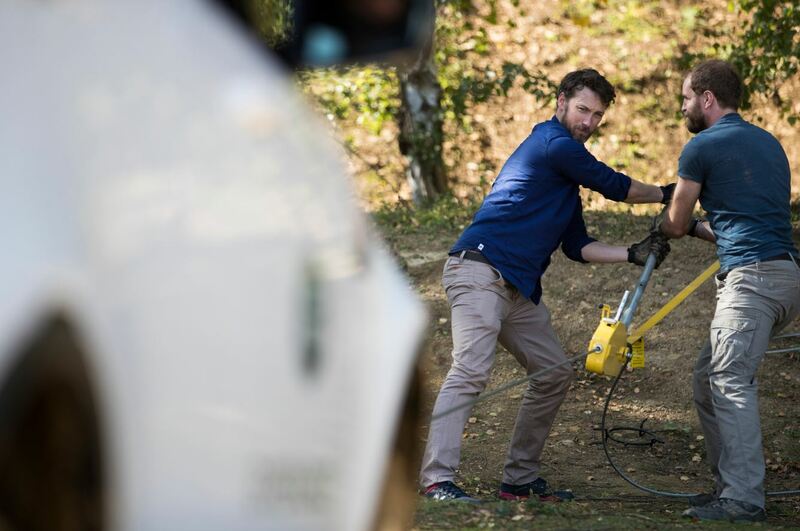 But in terms of lessons learned specifically: we were taught how to drive the car in sand, up and down steep hills, through water; as well as how to maintain the car and get it out of trouble if need be – whether that be digging or winching it out of soft ground. It was reassuring to know that the car is a lot more capable than I ever expected. I was quite shocked that I could do some of the things I was doing. In terms of what I enjoyed most... It’s really hard! Everything was great. I really liked the sand drifting that we did to simulate what it would be like to lose control on such terrain (see gallery). Having the chance to really open it up and kick up a load of dust was really fun. But it was only enjoyable because you had the confidence that the vehicle was capable of it – and that it’s safe. I’ll be honest, I didn’t think I’d feel so comfortable really gunning it but I’m glad I did because it all serves an important training purpose. What are you looking forward to most about the expedition? Before the training it was just getting out there and using the vehicle as part of a team to get somewhere. It sounds like cliché but, after the training, I’m looking forward more to the journey than just the destination. After seeing how much fun it was to drive the Discovery I’m now actually looking forward to the driving bit! I know that probably sounds a bit strange, but genuinely, in previous experiences of walking or cycling long distances, it’s been about getting somewhere cool, but I think this journey is going to be different. The travelling is going to be so enjoyable and so much fun. That’s a novelty for me, for sure. Do you expect any challenges? This trip will bring a lot of challenges. Even just the logistics of shipping a single car to Jordan and back. In the field we’re not the most experienced off-road crew; and we’re certainly taking on quite a severe environment. It’ll be tough navigating it, and sometimes we’ll have to be a bit daring to get across certain obstacles, but not so daring as to get ourselves in trouble. After the training it’s easy to feel like you can do anything, but I have to be cautious. Overconfidence is something I’ll have to try and rein in. What do you want to achieve most with the expedition? I think the whole point of the expedition is to go on a big adventure and use it to bring the world into the classroom; to make learning about geography and water something fun and alive. If we can achieve that then we’ve done our job. And on a selfish level, I want to have an adventure. I want to get back out to interesting places; to remind myself how big the world is. I know a bit about Jordan and I’ve been doing some research of late. It’s an extraordinary place. I heard a lot about Lawrence of Arabia and things like that; but that’s not really something I’ve ever looked into. I think we’ll try and avoid that stuff to make sure we gather original insights. Having spent the last few weeks connecting with people, I’m beginning to understand what a fascinating country it is – we’re all really excited. Fearghal and his co- expeditionists, documentary film-maker, Temujin Doranfield (gallery - left) and field scientist, Dr Shane McGuinness (gallery - centre) have since received an enthusiastic send-off from year 11 pupils at St Peter’s Catholic School, Solihull. They will begin their journey in earnest on 4 November. Keep your eyes peeled for updates on their progress here on TeamTalk.